The Roberts Law Firm has been providing excellent legal services to clients in all states. The firm has branches located in Texas, California, Orange County, Atlanta, and Newport Beach. It has become one of the most well known litigation service providers across the country. The firm’s aggressive policy of representation in all practice areas has given it an edge over other specialized law firms. General Areas of practice include criminal defense, personal injury, workers compensation, premises liability, and criminal law. It is also well known for its quality legal services and effective approaches towards conflict resolution.The firm has acquired a wide base of corporate clients and individual clients with its successful practicing policies. It is now ranked as a leading law firm both nationally and internationally. The Roberts Law Firm has created a diverse team of attorneys and lawyers who are highly specialized in their field of work. The teams of lawyers at this firm are well equipped to take cases at all level of courts such as federal court, state court, municipal court, and appellate courts. Focus is given on qualities such as innovation, effectiveness, and personal service at The Roberts Law Firm. Every client is made a top priority and their case is handled by expertise lawyers who apply their knowledge to the fullest. Personalized focus and undivided attention has made this firm achieve success in the field of law. The firm has achieved a great reputation for excellence and is willing to push boundaries to provide clients with positive results. Attorneys at The Roberts Law Firm also undertake plenty of pro bono legal work and act as a helping hand for those in stress. The firm also participates in several charity services and offers to help underprivileged members of the society. Their commitment and generosity has given them an edge in the competitive field of law. Q:Can you please tell me more about the owner of The Roberts Law Firm? A:The The Roberts Law Firm is primarily run by Greg L. Roberts. He is a graduate of the University of Missouri Columbia School of Law and was admitted to Bar in 1982. Roberts has around thirty years' experience in various areas of legal practice such as Family Law, Divorce, Child Custody Visitation, Personal Injury Litigation, Enforcement and Modification, Defective Drug Litigation, etc. Q:What can you tell me about the estate planning practice area at Roberts Law Firm? A:Roberts Law Firm specializes in a number of practice areas; including the area of estate planning as well. In this field, the firm offers all sorts of legal services such as legal advice, legal counseling, cases assessment, and court services. estate planning covers matters related to will development, retirement plan distributions, estate tax savings trusts, charitable remainder trusts, private family foundations, durable powers of attorney, drafting complex wills, etc.  Q:Please give some information about the team of attorneys working at Roberts Law firm? A:Roberts Law Firm has hired some of the best attorneys in the state. These include Neal W. Arnold, Kristi Culpepper, John Taylor Hopkins IV, John A. Roberts, and Melanie Annette Webre. The team works together on all cases pooling in their knowledge and skills to ensure success. Their experience and skill in various practice areas has enabled them to win many cases and protect there clients interest even in some of the most complex cases. Q:What kinds of white collar crime cases does the Roberts law office handle? A:Roberts law office represents many individuals and organizations that have been a victim to white collar crime. It offers a range of legal services in this area. Roberts law office takes various cases related to white collar crime, a few have been mentioned here: identity theft, bank fraud, wired fraud, political and public corruption, tax evasion fraud, counterfeiting, money laundering, mortgage fraud, financial fraud, investment fraud, and public deception.